EIL Recruitment 2017 Notification: Jobs seekers who are intently waiting for latest Central Government Jobs in India this is the good news. Recently, the officials of the Engineers India Limited (EIL) has circulated a new career notification named as EIL Recruitment 2017. As per information provided in the official notification, there are 229 Trade and Technician Apprentice Vacant Positions. So candidates who are willing to apply they must submit the online application form on or before the last date which is 28-11-2017. For more information about the EIL Recruitment 2017 Notification simply scroll down this page and read the article. On this page, all candidates can get the direct link to download the official EIL Jobs 2017 Notification. So before going to apply it is better to check the eligibility of the candidate by reading the notification. Along with EIL Recruitment 2017 Notification information on this page, we have provided some steps to apply for the EIL Openings. Whenever you are applying for these positions you must follow these steps. We request the applicants keep in touch with this sarkarirecruitment.com page to get the updated information about the EIL Recruitment 2017 Notification. Applicants who are willing they for these EIL Openings they must complete the educational qualifications as per rules. Applicants with the 12th/ ITI / Graduation / B.A / B.com / B.sc in relevant specialization from any recognized institute or University in India as the educational Qualification are eligible to apply. This will change for the very provided post so it is better to read the official EIL Recruitment 2017 Notification to get the post wise Educational Qualification. Along with the educational qualifications, applicants can also obey the age limit as per rules of the EIL Jobs 2017 Notification. So Candidates minimum age limit is 18 years and for maximum age limit and age relaxation information read the official EIL Openings 2017 Notification which is attached below section of this page. We insist the candidates read the official EIL Recruitment 2017 Notification before going to apply so that you can get the information about the eligibility. And the last date to submit the Engineers India Limited (EIL) Trade and Technician Apprentice Application Form is 28-11-2017. Scroll down this page to get the updated information about the EIL Jobs. Applied candidates will be selected based on the merit list. The merit list will be prepared by the officials based on Educational Qualification. So visit the official web page of the Engineers India Limited (EIL) to get the updated information about the merit list. 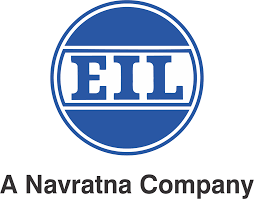 So aspirants who are willing to apply for these EIL Openings we suggest to that candidates check the official Advertisement or visit the official web page at www.engineersindia.com before going to apply. Contenders who got selected they will get the monthly salary as per norms of the organization and it is going to be best in the industry. As per the information in the EIL Recruitment 2017 Notification, selected aspirants will get Stipend between Rs.10,000/- to Rs.14,000/- per month. For more information about the EIL Openings Salary and Grade Pay read the official EIL Openings 2017 Advertisement which we have provided at the bottom of this page. We advise the applicants keep in touch with us to get the updated information about the EIL Recruitment 2017 Notification. As per rules, candidates who are willing to apply for these EIL Openings they must complete their 12th/ ITI / Graduation / B.A / B.com / B.sc in relevant specialization from any recognized institute or University in India as the educational Qualification are eligible to apply. Candidates minimum age limit is 18 years and for maximum age limit and age relaxation information read the official EIL Openings 2017 Notification which is attached below section of this page. For application fee information we insist the applicants check the official EIL Jobs 2017 Notification by clicking on the below link. Applied candidates will be selected based on the merit list. The merit list will be prepared by the officials based on Educational Qualification. So visit the official web page of the Engineers India Limited (EIL) which is www.engineersindia.com to get the updated information about the merit list. Contenders who got selected they will get the monthly salary as per norms of the organization and it is going to be best in the industry. As per the information in the EIL Recruitment 2017 Notification, selected aspirants will get Stipend between Rs.10,000/- to Rs.14,000/- per month. Visit the official web page Engineers India Limited (EIL) which is www.engineersindia.com. If your eligible to the provided EIL Jobs then click on the apply link. Now fill Application Form with your Academic Qualification & Other Related Information. Engineers India Limited is very much reputed as EIL. It is a Navratna Company, is a talent-driven & knowledge-based consultancy organization, & places immense value on engaging, nurturing and inspiring its human capital. The main vision it works is to be a world-class globally competitive EPC and total solutions Consultancy Organisation. So it has recently released announced EIL Recruitment 2017 notifications to fill up Multiple vacant positions throughout the country in various Departments, So candidates who are looking for the Central government jobs can apply for these positions on or before the last date. As we all know there is heavy competition for the central government jobs we insist the candidates prepare well and also to apply only if they think are eligible for that particular position. EIL Recruitment 2017 will be a golden opportunity for the job searchers as there are numerous openings in this Central Government Organization. And Candidates can now apply for their dream job without hassle as we updated all the required additional information, especially for the candidates. So you can get all the minute details here further in this post. In this post we updated information like Posts Details, Number of Vacancies, Age limit, Age Relaxation, Applying link, Start Date, and Last Date to apply etc., all about the EIL Recruitment 2017. And candidates who are interested in state government jobs and other Central Government organizations Openings can now check them on our site ie., Sarkari Recruitment f0r more Detailed and Accurate Information. Interested job searchers can also check other Navratna Companies openings like BHEL, BEL, BPCL, OIL, SAIL, CONCOR. Engineers India Limited was incorporated in New Delhi on March 15, 1965 under the Companies Act as a private limited company under the name “Engineers India Private Limited” in accordance with a formation agreement dated November 20,1964 and a memorandum of agreement dated June 27, 1964 between the Government of India (GOI) and Bechtel International Corporation (BIC). Thereafter, the memorandum of agreement, the formation agreement, and a subsequent technical services agreement entered into by Company and Bechtel Overseas Corporation (BOC) were terminated by mutual consent in accordance with an agreement between the Government of India, BIC, and BOC in May 1967. In accordance with the terms of this agreement, EIL also entered into separate agreements for mutual release in June 1967 with BOC and BIC whereby the parties mutually agreed to forever discharge and release the other party and its officers, employees from all liabilities, obligations, and duties under the terminated agreements. In May 1967, EIL became a wholly-owned GOI enterprise. In 1996, the GOI disinvested approximately 6.0% of its shareholding in Company and it became a public listed company. Achieve ‘Customer Delight’ through innovative, cost-effective and value added consulting and EPC services. To maximize the creation of wealth, value and satisfaction for stakeholders with high standards of business ethics and aligned with national policies. Today, EIL is the only Total Solutions engineering consultancy company in India providing design, engineering, procurement, construction and integrated project management services from `Concept to Commissioning¿ with highest quality and safety standards. The Company’s track record comprises design and engineering of 10 greenfield refineries, 7 petrochemical complexes, 39 oil and gas processing projects, over 40 offshore process platforms, 42 pipeline projects, 13 ports and storage and terminals projects, 8 fertilizer projects and 29 mining and metallurgy projects. Engineers India Limited (EIL) is going to generate a notification to recruit many vacancies. Job searchers can apply for them according to their qualification and eligibility which are updated below in this post in a detailed manner.The competitive written exam and personal interview will schedule an authority for final selection. If any type of dispute and query arose with regard to open Engineers India Limited posts, the decision of Managing Committee of EIL Recruitment will be last. Technician Apprentice/Trade Apprentice: The age of the candidate should be 25 years. The age of the applicant should be as on 14th March 2017. Interested and Eligible candidates who are interested in Engineers India Limited Recruitment, may apply online through Engineers India Limited official website HERE.